Whenever violence is unleashed on ethnic minority communities, political leaders from South almost by rote, hold a small group responsibleand reiterate that an overwhelming majority of the majority community have always wanted goodwill and peace among the communities. This was the refrain last week as well, following the anti-Muslim violence that erupted in the Central Province last week. There is no gainsaying the credence of this statement. A significantly larger proportion of the majority community do abide by law and want goodwill and harmony among the communities. But the question is, when the larger majority is so civil and amicable, how do small groups get together to unleash violence for several days, disrupting normal life? Pondering this question, I am reminded of the quotes of two of the great sons of the last century. Albert Einstien, a theoretical physicist who developed the theory of relativity and one of the two pillars of modern physics, said the world was a dangerous place to live, not because of the people who are evil but because of the people who didn’t do anything about it. At the same time, Martin Luther King Jr., the American Black civil rights leader said we would have to repent in this generation not merely for the hateful words and actions of the bad people but for the appalling silence of the good people. There is no denying that during the many bouts of violence, victims from minority communities have received support and help from friends, neighbours and well-wishers from the majority community. But the question is, why haven’t these friends and well-wishers and the majority of the majority community helped create a culture of tolerance and civility that could prevent ethnic violence? There needs to be a change in the current situation where these ‘good people’ remain helpless spectators when violence is at its peak. No doubt the status quo remain because of the political patronage the so-called small groups receive. The hate politics against the minority communities is not something new to the country. It is an obnoxious trend that has grown parallel with the evolution of the ethnic majoritarian politics of modern Sri Lanka. However, what remains a cause for major concern is the Southern polity’s failure to recognize the genuine grievances, rights and legitimate political aspirations of the minority communities, even after the three decade-long bloody civil war that caused havoc to all communities. Hindsight they say is 20-20 and in that context, it is easy to be wise after the incident. Sri Lankan politicians are adept at analyzing an incident after it happens. Politicians who bemoaned the blow to Sri Lanka’s image in the international arena during the civil war have been saying the same thing after the recent incidents against the Muslims in Kandy and Ampara. 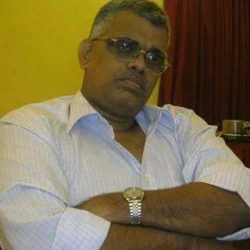 They also repeat the claim that that the economy has taken a blow, perhaps unwilling to realize the stark truth that is the failure to take stringent action against the Sinhala-Buddhist ultra-nationalist forces that have paved the way for the frequent resurgence of hate politics and violence against Muslims in the last few years. What emerges as painfully clear after the latest bout of violence is that the present government has failed to learn anything from the monumental blunders of its predecessors. Prime Minister Ranil Wickremesinghe, during a Buddhist ceremony last Sunday (10), repeated the Southern polity’s cop out, but with a caveat. 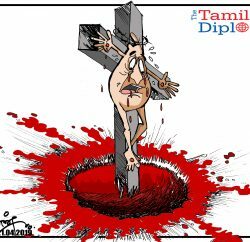 He had said that only a handful had been engaged in the recent violence, but that the Sinhalese and Buddhists have been blamed for the actions of this small group, and that it would affect the Buddhists in the whole of South Asia. “Buddhism may be touted in the West as an inherently peaceful philosophy, but a surge in violent rhetoric from small but increasingly influential groups of hard-line monks in parts of Asia is upending the religion’s tolerant image. 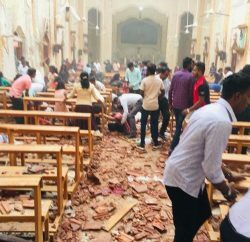 “Buddhist mobs in Sri Lanka last week led anti-Muslim riots that left at least three dead and more than 2000 Muslim- owned establishments in ruins, just the latest bout of communal violence there stoked by Buddhist nationalists. “In Myanmar,ultra-nationalist monks led by firebrand preacher Wirathu have poured vitriol on the country’s small Muslim population, cheering a military crackdown forcing nearly 700,000 Rohingya into Bangladesh. And in neighbouring Thailand, a prominent monk found himself in hot water for calling on followers to burn down mosques. “What has prompted this surge in aggressive rhetoric from followers of a faith that is of ten equated, rightly or wrongly, with non – violence? After every bout of ethnic violence, Sinhala Buddhist leaders, the Most Venerable Mahanayakes of the main Buddhist sects, invite and offer counsel to the leaders of the government of the day and important politicians on establishing peace and goodwill among communities. This is well and good, but why don’t they make any effort to stop the sizable number of monks from the Maha Sangha, headed by them, from spreading hate propaganda and engaging in violence against the minority communities? The yellow robe of Buddhist monk has always been held in great veneration by Buddhist in Sri Lanka. This has, in turn, led to many criminal and other elements taking cover under the robe in order to carry out their nefarious activities. 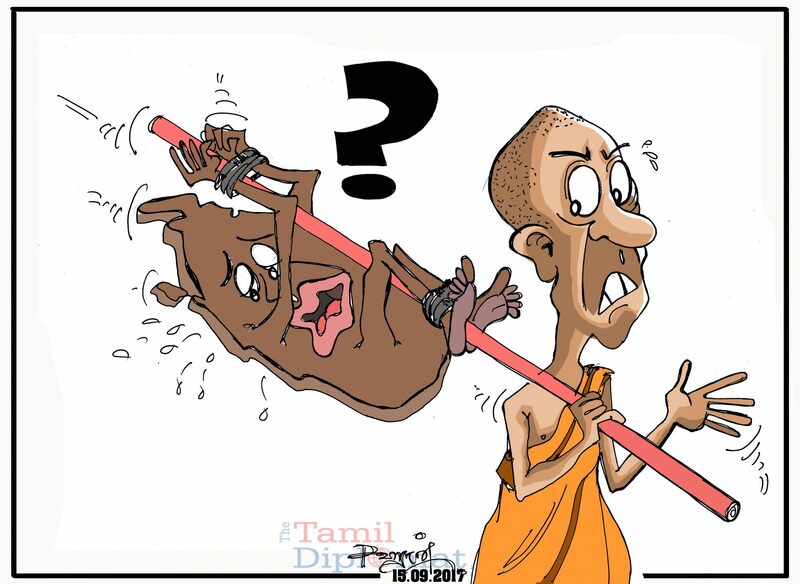 The trouble in Sri Lanka is that the Buddhist clergy is seeking great influence in the politics of the country. Citing that kings of old were advised by the Buddhist monks of that time, they seek to advice and influence the government and its leaders. They have even gone to the extent of becoming directly engaged in politics and contesting in elections transforming Buddhism into a political religion. The Mahanayakes have been unable to discourage their monks from direct politics, though it is detrimental to the basic teachings of the Buddha. The Sangha, as the monks are collectively called, was created by the Buddha as a vehicle to spread his doctrines. But there has been a sea change from the time the Buddha ordained the original monks and sent them into the world. Today’s monks bear no resemblance, either in their habits of life or in doctrinal purity, to the original monks of the Buddha’s time. The Buddha taught that monks should have no attachment to any worldly or material things. Today’s monks not only live worldly lives but even own property. There is no doubt that during almost all the communal violence in the country Buddhist monks are seen not only urging and inciting lay people to acts of violence but even committing them themselves. It is the robe that gives them the immunity and the protection, which ordinary men do not have. It is time that we put a stop to this. It is unfortunate that the Sangha in Sri Lanka has allowed itself to be infiltrated in this manner and thereby lost the respect of the people. It is difficult to find a parallel among the monks or priests of other religions in Sri Lanka or elsewhere. The priesthood is a sacred calling and it can only be sullied by a heady mixture of politics. If the Sri Lankan society does not separate politics from the Sangha, there is no future for the island. However, the reality was graphically summed up in the following paragraph by Tissarani Gunasekara, a prominent and well-meaning political analyst, in a well-received article during the height of the anti-Muslim violence.